Why Dogs Are…is the sweet story of how dogs came to be man’s best friend. With a gentle touch, Tana Thompson tells the story of a little boy who is blind and deaf. As God looks at the boy from heaven He longs to show His love to the boy. God sends a dog to be the boy’s companion. My preschool aged daughter and I loved the story. 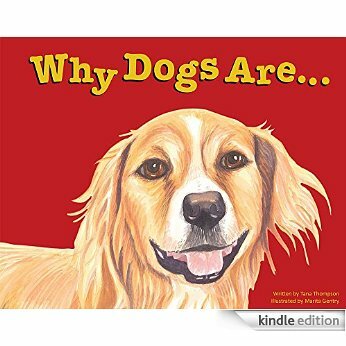 Why Dogs Are…. is a great book that teaches not only God’s pursuing love, but forgiveness and compassion as well as kindness and respect for animals. I loved the book and give it five stars!